Welcome to SightCare’s regional meeting in partnership with Essilor. This workshop in partnership with Essilor, is an introduction and technical presentation on the newest development from Essilor in single vision lens correction andrepresents one of the biggest improvements in single vision optics in over 20 years. Visual fatigue and digital eye strain are becoming more evident in everyday life and therefore, practices. The workshop will look at aberrations experienced when viewing near vision targets with standard single vision correction and discover how best form lenses can help reduce them. It will also look at consumer trends surrounding digital usage and how they affect the patients we see everyday. Charlotte qualified as a Dispensing Optician in 2002 and completed her CL theory exam in 2003. She has spent almost 16 years as the main Dispensing Optician in a higly successful, independent practice. 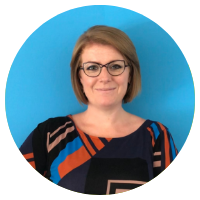 In 2014 Charlotte became London Account Manager for Essilor UK enabling her to use her dispensing knowledge to help independent practices to grow their busines and offer the best possible solution to their patients. In May 2018 Charlotte became part of the Essilor Professional Relations team.